Every year, nearly 3 million visitors come to Cannes. 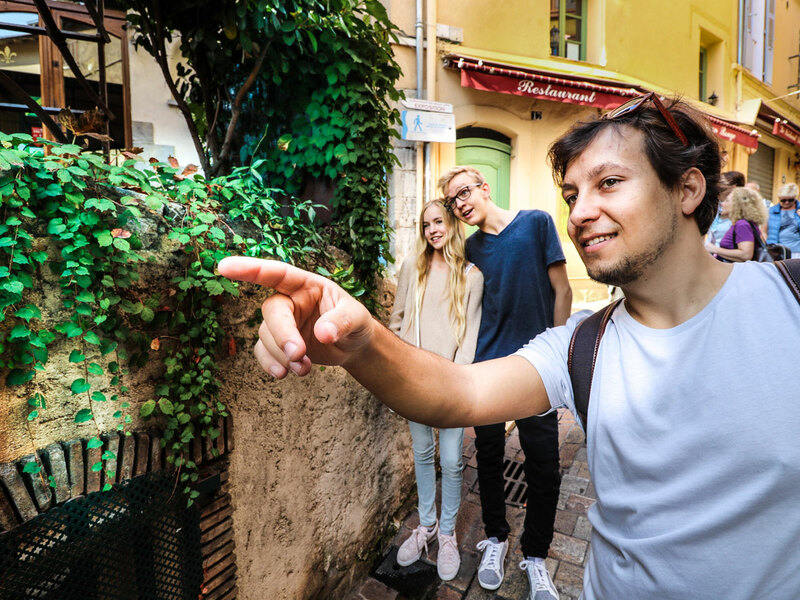 It is a destination known throughout the world, for its film festival of course, but also its many beaches, the Croisette… but today, more and more curious travellers are seeking to live original, human and personalized experiences. Sharing, authenticity and friendliness are all values that are sought after during a trip. 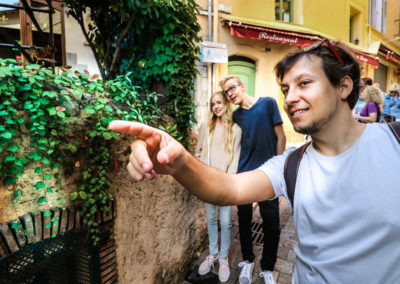 To meet this demand, the Cannes Tourist Office has developed and set up a network of passionate residents to offer unique visiting experiences with locals who love their city. The Greeters of Cannes reveal this destination to you far from stereotypes. The people of Cannes are committed to showing the true face of their city, which is authentic, welcoming, innovative and dynamic. Thus Chantal, Frédéric, Simone, René-Pierre, Olivier, Kim, Michèle, Nicole and Anne, true ambassadors of the destination, began to share with the visitors their favourites, good tips, passions and secrets. 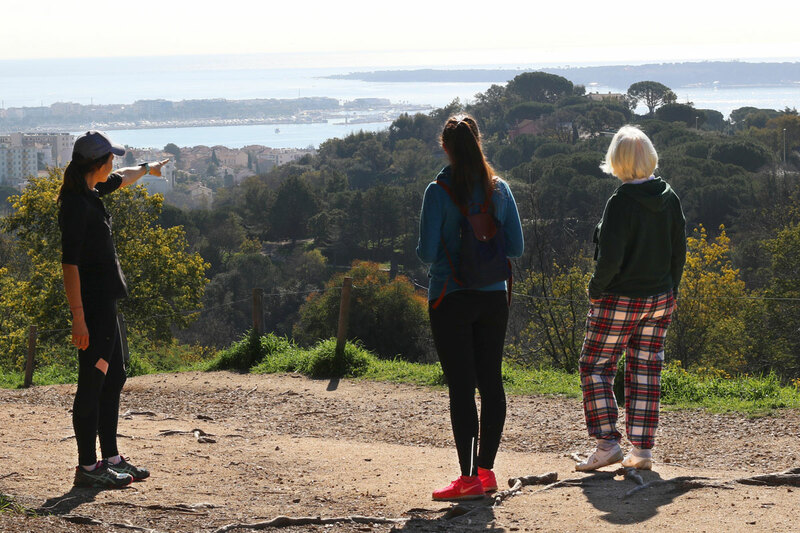 Without replacing the tour guides, these volunteers make it possible to complete the existing tourist offer and reveal the identity of the city “off the beaten track”, which only the inhabitants know. It is the meeting and authentic exchanges between visitors and Cannes residents that is the key to a quality welcome. 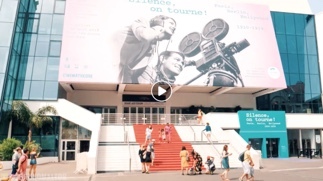 , who (re)discovered Cannes and was surprised by Simone, a Cannes greeter who shared some of her favorite places, including the California district. Discover his experience in Cannes by reading the article here, or watch the video, above, from his stay. Kim, one of the greeters from Cannes, offers to accompany her on her jog at the Cross of the Guards. It shares its favourite sports venues while allowing you to work on your strides and take a breath of fresh air. Cannes’ must-see places such as the Croisette, the Croix des Gardes, the Suquet or even the Palm Beach are obviously included in the list of places visited with the greeters. However, depending on everyone’s interests and experiences, greeters offer a different approach to Cannes. It is a real moment of exchange that does not leave travellers indifferent, encouraged by visits limited to six people. Some greeters are fluent in foreign languages such as English or Italian. It is also an opportunity to participate in local life, such as accompanying Kim, one of the greeters from Cannes, during her jog at the Cross of the Guards. It shares its favourite sports venues while allowing you to work on your strides and take a breath of fresh air. Frédéric is a journalist by profession, who presents Cannes in a more cultural way while transmitting his passion for the sea. The greeters’ walks are inspired by their history with the city and depend on their interests. They can be thematic (sport, culture, architecture, cinema, etc.) or by geographical sector (Croisette, Croix des Gardes, Suquet, Palm Beach, etc. ).